Macadamias are an underestimated nutrient-powerhouse. A rich source of essential vitamins and minerals including vitamin A, iron, B vitamins, and folate. They also have a little protein and pack a healthy dose of good fats and antioxidants. 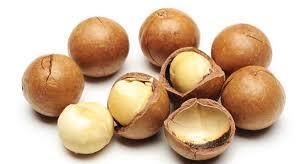 Macadamia nuts are widely grown in central and upper eastern province in Kenya. Overtime, the nuts have peaked momentum and they are now among the best selling nuts in the country. At Oxfarm Organic Ltd, we have the modern grafted Macadamia nuts that we sell to our farmers at an affordable price. Book Your Now!! !